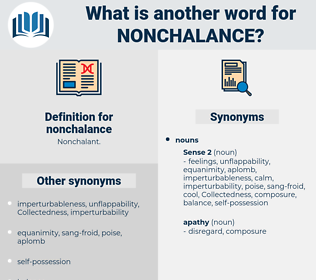 What is another word for nonchalance? fervency, keenness, warmth, curiosity, attention, regard, warmheartedness, interest, sensitivity, bias, vehemence, zeal, desire, awareness, conscientiousness, heedfulness, attentiveness, prejudice. 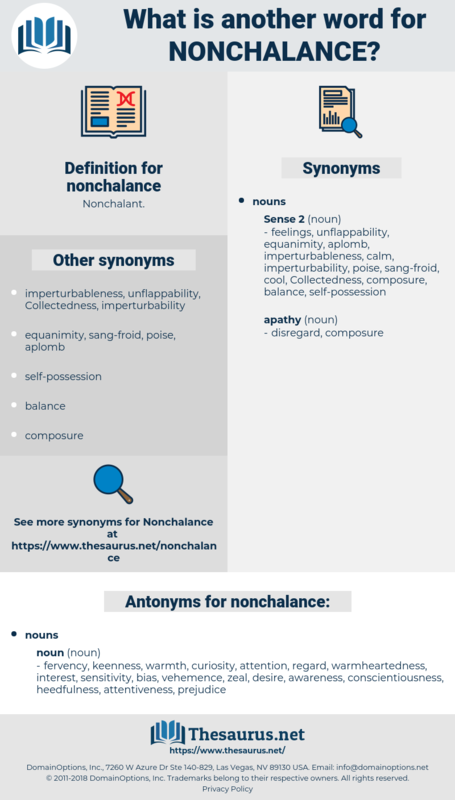 You will infallibly gather laurels if you add to these the spear of sarcasm and the shield of nonchalance. And his nonchalance scored for him in the idle game he was playing.